The terms and conditions below outline the terms associated with the use of our Websites and you will be bound by these conditions upon booking. The Schoolies.com and BookSchoolies.com websites ("Schoolies.com websites,") are operated by Group Travel Manager Pty Ltd (ACN 132 055 077) ("GTM"). Please read the following terms and conditions carefully as these conditions incorporate the basis on which bookings via the Schoolies.com websites are accepted. GTM reserves the right at any time to vary, revise, add, amend, modify or delete the Schoolies.com websites including these terms and conditions. The amended terms and conditions will take effect immediately upon being posted on the Schoolies.com websites. The laws of Queensland govern the operation of the Schoolies.com websites and you agree to submit to the non-exclusive jurisdiction of the Courts of Queensland. If any provision of these terms and conditions is found to be invalid or unenforceable by a court of law, such invalidity or unenforceability will not affect the remainder of the terms and conditions which will continue in full force and effect. The information on the Schoolies.com websites is provided in good faith and GTM believe it to be accurate. However if you wish to obtain services from the Schoolies.com websites you should not rely solely on the information on the Schoolies.com websites but should make specific enquiries concerning the nature of the accommodation and services and their suitability for your personal needs by contacting the accommodation provider directly. Unless otherwise stated all information on the Schoolies.com websites is supplied without any warranty, condition or other term as to the quality of any service or place of accommodation or its suitability for any particular purpose. GTM and the Schoolies.com websites are not liable to you or anyone else for any loss of deposit payment or any other indirect or financial loss suffered whether arising in contract, negligence or otherwise arising in connection with the use of the Schoolies.com websites. To the extent permitted by law GTM and the Schoolies.com websites liability for breach of any implied warranty or condition which cannot be excluded is limited to the supply of the services again or the payment of the cost of having the service supplied again. The Schoolies.com websites discloses information about travel locations, dates, packages, information about the Schoolies.com websites and many other things. We accept no responsibility for information supplied to us by third parties. We recommend that you confirm all information contained on or linked from the Schoolies.com websites with the relevant third party provider. Should these dates change, the Schoolies.com websites will automatically move all existing bookings to the correct week for the relevant state and adjust accommodation rates accordingly. Accommodation arrangements are based on using existing bedding only, i.e. this could mean sharing a double bed. All prices are in Australian Dollars and quoted on a "per person" basis and are inclusive of GST. All rates quoted do not include Bonds (or optional extras such as event tickets and merchandise). Every effort is made to ensure that the description of facilities and services provided at hotels and apartments listed on the Schoolies.com websites is accurate however these are continually being changed, upgraded and on occasion taken out of service. The Schoolies.com websites cannot be held liable for omissions, errors, alterations to property facilities and services, whether temporary or permanent. Rooms within many of the large apartment and hotel complexes on the Gold Coast are privately owned. Private owners can choose to manage their rooms in a variety of ways including via the onsite management, via a 3rd party agency and/or independently. Schoolies.com sell all rooms within a property regardless of how they are managed. Procedures for check in, key collection, check out and contact procedures during your stay will vary depending on how the individual room that you are staying in is managed. Schoolies.com will advise you in your travel documents, which are issued 14 days prior to arrival of the check in and out procedures for your room and will provide you with contact details for any queries during your stay. If you are under the age of 18 years of age, your parent or guardian must make the booking via the Schoolies websites. If you are a minor you cannot make a booking using the Schoolies.com websites. If a booking is made and not authorised by your parent or guardian, the deposit paid at the time of booking shall be forfeited. GTM will endeavour to accommodate any special requests but does not guarantee any special requests made. The minimum amount of deposit payable for your booking must be received by the Schoolies.com websites at the time of booking payable with a credit card online only. All deposits are non-refundable. The minimum amount of deposit payable for your booking will be advised at time of booking and must be paid at the same time as you make your reservation, otherwise the Schoolies.com websites will be unable to hold your booking. The deposit is non-refundable but a person may change the name of a group member to whom the deposit relates. If this occurs, the deposit and any additional payments for the original group member will be transferred to the new group member. Name changes can be made free of charge by logging into your booking and selecting the "Replace" button. There is a $60 fee for name changes made through the call centre. Name changes cannot be made within 60 days of travel. If you are making a booking less than 60 days prior to check-in then you may be required to pay the total amount payable (including all Bonds) at the time of booking. Deposit amounts are subject to change at any stage without notice. For Bali & Fiji bookings a non-refundable deposit is required at time of booking. Name changes are not permitted. Final payment is 120 days prior to the date of your travel, which is usually around 31 July. A charge of $60 per person will apply to any changes in dates or buildings. Bali & Fiji packages will run subject to minimum tour numbers. If minimum numbers are not reached GTM & the Schoolies.com websites reserve the right to cancel the tour. If this occurs deposits will be refunded in full. Bali & Fiji package prices are subject to change and may be adjusted at any time without notice. Price changes may occur as a result of factors outside of our control. Such factors may include (but are not limited to) currency fluctuations, fuel surcharges, taxes and airfare increases. If you make multiple bookings to hold rooms, you will not be refunded for any payment made on the additional booking. If you would like to stay for more than seven nights, the Schoolies.com websites will treat each seven night stay ("Tour Date") as a separate booking. Each Tour Date will require a separate deposit and a Bond per person. if you are not 18 years of age and you pay a deposit, you will forfeit the deposit paid for breach of this warranty. You are able to make any changes necessary to your booking on behalf of the group via the Schoolies.com websites. By making a change to your booking, you represent to GTM and the Schoolies.com websites that you have discussed any changes with your group and your group has accepted and agreed to the change. It is your responsibility to inform your group of any changes that you make. GTM and the Schoolies.com websites are not responsible for and will not get involved with any disagreements within your group. Referral/Influencer codes are a unique series of numbers and letters which are assigned to you by Schoolies.com. For each person that correctly enters your unique code during the booking process you will receive $20 of referral dollars.For example: 5 people = $100, 10 people = $200, 15 people = $300, 20 people = $400. Referral Rewards will be processed monthly from Schoolies.com to the the Influencer's nomiated Bank Account. Referral codes cannot be added to a booking, after the booking has been completed and confirmed. You will not earn Referral Rewards, if the person that has entered your unique code does not pay their Booking Deposit. You will not be entitled to Referral Rewards if the person/s making a booking, fail to properly enter your unique code. Schoolies.com will not be liable to you with respect to any such failure. Rewards may not be sold, transferred, assigned, or combined with any other offer, discount, or promotion. Your Influencer code will be deactivated and you will be disqualified from earning referral dollars if you share your code, post your code or ask people to inbox you for your code on the Schoolies.com Facebook page, Instagram and event pages. Your code is for sharing on your own social media networks, amongst friends and on printable flyers provided by Schoolies.com. Influencers cannot use their own referral code on their own booking. If a promoters own code is entered at time of booking, referral rewards will not be earned. Influencers will be notified when 2020 promoter applications open. Schoolies.com reserves the right to change the designated referral rewards amount at any time. Influencers will be notified when amounts change. For example, if the referral rewards are $20 per person from 1 February 2019 - 31 May 2019, promoters will earn $20 per person who books using their code during that time. If referral rewards are $15 per person from 1 June 2019 – 30 September 2019, promoters will earn $15 per person who book using their code during that time. Each member of the group is required to pay a Bond of $200.00 payable 60 days prior to check-in. A Bond is held as security against any additional cleaning, removal of excess rubbish, damage or undue wear and tear, among other things. All damage, breakages and losses to property, furniture, keys or furnishings must be paid for by the group and any damage must be reported to the accommodation provider immediately. It is the responsibility of the group and all members to leave the property clean and tidy. The condition of the property must be left as close as possible to the condition it was in when you began your stay. Bonds will be made available for refund within approximately 10 business days after check-out provided that clearance from the accommodation provider has been received. Any disputes relating to bond deductions must be discussed directly with the accommodation provider. The accommodation provider is solely responsible for amendments to bond deductions. Bonds will be refunded to your nominated bank account. All Bond forms must be signed to be processed. Any unsigned Bond forms will not be processed. Bonds will not be returned by any other means. All payments, excluding the deposit can be made via the Schoolies.com websites, or call centre, by BPAY or by credit card. All payments, if made by credit card excluding the deposit will incur a 1.5% surcharge. Any fees charged to Schoolies.com by our credit card payment provider arising from a chargeback or a disputed charge on the cardholder's credit card will be charged to the cardholder. This fee is non-refundable. Lay-bys are available for up to 18 months and regular monthly payments will be calculated based on your final balance due. Your final layby payment is calculated so that your schoolies booking including bond is paid in full by your Final Due Date, which is 60 days prior to travel for domestic Schoolies and 120 days for international Schoolies. Lay-bys may be cancelled by you at any time during the term with no charge. If however you request a refund of payments made to date via layby, you will be charged a termination fee of $20. If a deposit, final payment or bond is not received by the due date GTM and the Schoolies.com websites reserves the right to cancel your booking. Refer to clause 21 for full details related to cancellation fees. Schoolies.com will release the booking details including the name and address of a Secret Schoolies hotel within 7 days of receiving final payment. If an optional extra is not removed prior to final payment, payment will be required. If payment remains outstanding, the overdue amount will be deducted from your bond refund. If the size of your group changes you must notify us immediately. In the event that a group member cancels their booking, the price per person will increase. Once the deposit has been paid, if you wish to change your accommodation building, room type or date of travel you will incur a $60.00 amendment fee per person per change. Amendments must be notified in writing or via e-mail by the group organiser or by the guest whose booking is being amended. Any building change request will be subject to availability. Please note that it is not always possible to change buildings. GTM and the Schoolies.com websites reserve the right to deny requests to change buildings. No change of buildings or apartments or other travel arrangements is permitted within 60 days to check-in. The group organiser has the responsibility of controlling all changes made to your booking. Amendment fees paid in respect of your booking are non-refundable. Split stays can be arranged subject to the agreeance of all roommates. Schoolies.com and Group Travel Manager will not be responsible for any disagreements related to bond refunds, deposits or other monies paid in respect of a booking where roommates have split their stay. All split stays will incur a $60 amendment fee payable with Visa or MasterCard. The room description information provided to you will include information about the minimum and maximum number of people that can share a room. If your group does not consist of the minimum number of people then GTM and the Schoolies.com websites may cancel your booking. If you need to change your booking to another building or room type due to insufficient persons, you will incur a $60.00 amendment fee per person, per change. The maximum number must be strictly adhered to at all times, and all members of the group agree to adhere to the maximum room occupancy. GTM and the Schoolies.com websites reserves the right to cancel any booking and retain all moneys paid to the Schoolies.com websites in respect of the booking for any group that does not meet the minimum occupancy or exceeds the maximum room occupancy. Travel documents will be made available to you 21 days prior to check-in. Travel documentation will not be available for any group members until all group member payments are made in full. Any cancellation that is made 60 days (120 days for Bali & Fiji) or more prior to check-in will forfeit all deposits paid in respect of the booking. Any cancellation made within 60 days (120 days for Bali & Fiji) of check-in will forfeit the full cost of the booking excluding Bonds. Cancellations can be made via the Schoolies.com websites or by emailing info@schoolies.com. Cancellations cannot be made via our Call Centre. GTM and the Schoolies.com websites is not responsible for informing group members that a person in their group has cancelled or that the booking has been cancelled in full. No refunds will be given for an early departure. Any fees paid in respect of your booking are non-refundable. We recommend that all members of your group purchase adequate travel insurance at the time of booking and as such have automatically included this in your booking. If Travel Insurance is not required this policy may be removed at any time prior to final payment. The Travel Insurance policy included in your Schoolies booking will commence on the date that full payment is received for your total schoolies package. Travel Insurance prices are subject to change and may be adjusted at any time without notice. Final price will be confirmed at time of final payment. GTM and the Schoolies.com websites take no responsibility for any misadventure that prohibits a group or a group member from travelling. Booking through Schoolies.com does not guarantee that Official Schoolies.com activities will be available at a destination, or that schoolies booked through Schoolies.com are pre-registered for these activities (where available). Some destinations do provide alcohol and drug free events. These events /activities, if provided may be organised by local or state governments or 3rd party organisations and information should be sort from the relevant body. Optional club, party and festival tickets may be added to your booking. Please ensure you remove these from your booking prior to final payment if you do not wish to purchase them. No refunds will be offered if you fail to remove prior to final payment. No refunds are offered in the event that you do not attend or you fail to pick up your ticket from the designated collection point. GTM and Schoolies.com reserves the right to change, add, withdraw or substitute entertainment & venues where necessary. No refunds will be available in the event of a venue, artist or theme change. Activities such as moshing, crowd surfing, climbing and stage diving are dangerous and may lead to eviction from the events. GTM and Schoolies.com accepts no liability for any injuries or damages caused by these activities. Persons attending Schoolies.com Events do so at their own risk. GTM and Schoolies.com shall not be held liable for any loss, injury or damages sustained entering or during the event, including theft or loss of personal belongings. All Age Party Pass & Party Pass U18 give you access to 3 all age, supervised, no alcohol parties. Tickets are strictly limited. No refunds will be offered in the event that you do not attend or you fail to pick up your ticket from the designated collection point. Club 18+ Pass gives you 7 nights access to partner clubs. Government approved ID will be required to gain entry into the venue. No refunds shall be provided if you purchase a pass and are underage. Excludes entry on special event nights. Entry will be subject to venue capacity. Please arrive early for best chance of getting entry to your preferred venue. Schoolies Nation Beach Festival pass gives you access to a Beach Festival held on Surfers Paradise beach. The festival is exclusive to Schoolies and is an All Ages/Licensed Event. Government/School photo identification will be required at time of wristband collection. Refunds will not be available if entry is refused due to inability to provide correct identification. Event dates and venue subject to approvals. See separate event Terms and Conditions for more information. Tour Pass (Beach Fest + All Age Parties) gives you access to Schoolies Nation Beach Festival and 3 nights access to the All Ages, fully supervised, no alcohol parties held at partner clubs. Tickets are strictly limited. Your submittal of an online order is a conditional acceptance of Schoolies.com terms and conditions. Full payment is required with your Schoolies booking no later than 60 days before travel. If payment remains outstanding, the overdue amount will be deducted from your bond refund. Schoolies.com will reject any messages that include profanities or exceed 10 characters. Changes or refunds are not permitted after final payment has been made. Singlets are subject to availability and will be issued in order of payment received. It is your responsibility to log in and customise your Schoolies Singlet. If you do not customise the singlet you will receive a blank one. 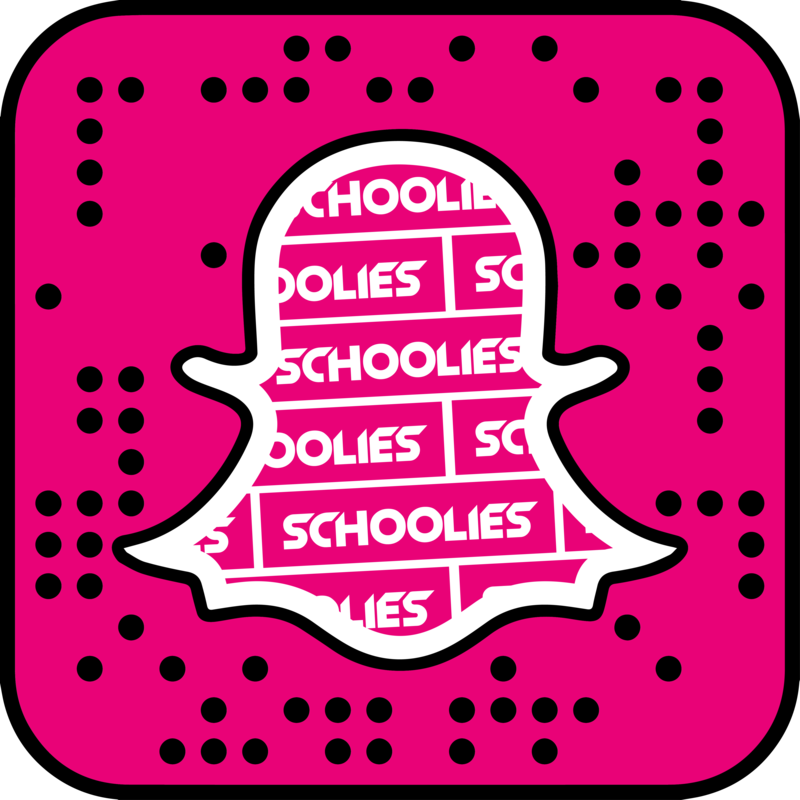 If the name/nickname/group is entered incorrectly, Schoolies.com will not accept returns. Refunds will not be available due to errors resulting from incorrect entry. Schoolies.com will not refund or exchange if the sizing that is selected is incorrect. Schoolies.com advise against using profanities and advertising phone numbers, Schoolies.com reserves the right to refuse service or cancel orders in its discretion. Schoolies.com will notify Schoolies of the designated collection point and specified time allotments. No refunds will be offered if you fail to collect your singlets from the designated collection point in the specified time allotment. Failure to attend Schoolies will not result in a refund. Claims of shortages, damages or defect items must be made within 24 hours of receipt. We reserve the right to replace or repair at our discretion. House Rules are the individual accommodation provider’s terms and conditions. You, and all members of your group, agree to abide by these terms and conditions during your stay. The group organiser must ensure that all members have read the House Rules for your accommodation. By confirming this booking you are confirming that you and all members of your group have read and agreed to the House Rules. House Rules can be viewed by selecting the building name in the building list page on the Schoolies.com websites and selecting the House Rules icon. Accommodation providers reserve the right to be able to change their house rules without notice. In the interest of all guests safety, accommodation providers reserve the right to be able to close off all balconies. Schoolies.com will notify you of any possible closures as soon as possible. GTM and the Schoolies.com websites endeavours to ensure that all information displayed on the Schoolies.com websites is correct. GTM and the Schoolies.com websites will not be held responsible for any errors in content. Please contact us if you have any queries regarding published information. GTM and Schoolies organises and arranges the accommodation pursuant to the contractual arrangements it has with apartment owners and managers. GTM and the Schoolies.com websites does not occupy or have any control over any hotel, apartment or unit and, as such, GTM and the Schoolies.com websites are not liable for any damage or loss, whether to personal property or howsoever arising, to any person who has booked accommodation through the Schoolies.com websites. GTM and the Schoolies.com websites cannot guarantee the availability of accommodation and GTM and the Schoolies.com websites reserves the right to change bookings. GTM and the Schoolies.com websites reserves the right at any time, in its absolute discretion, to modify any accommodation or to cancel the same without notice. Whilst GTM makes every effort to ensure that all prices on the Schoolies.com websites are accurate and up to date sometimes errors do occur and the prices stated are incorrect. GTM and the Schoolies.com websites reserve the right to alter accommodation prices on the Schoolies.com websites to reflect any increase in the cost of accommodation for reasons beyond our reasonable control. This may include (but is not limited to) pricing mistakes, errors or omissions. Where a pricing mistake, error or omission has occurred, GTM or the Schoolies.com websites will use its best endeavours to notify you of the mistake, error or omission. Confirmation of bookings and invoices are subject to re-issue if GTM or the Schoolies.com websites discovers a pricing mistake, error or omission. Upon GTM or the Schoolies.com websites notifying you of the mistake, error or omission you can either agree to accept the amended price or you may cancel your booking. In the event that an error occurs which results in a room being double booked or due to circumstances beyond our control the original room/property that was booked is no longer available, GTM and the Schoolies.com websites will relocate your group to another venue at no extra charge to you and your group. GTM and the Schoolies.com websites will use its best endeavours to have you and your group relocated to a hotel of comparable quality and in a comparable location. If a property of comparable quality in a comparable location is not available, Schoolies.com may relocate you to a property of less comparable quality in a less comparable location in which Schoolies.com will pay you an amount which it reasonably believes represents the difference between the price payable for the alternative property and the prices paid by you for the original room/ property at which you had booked. GTM and the Schoolies.com websites will use its best endeavours to have you and your group relocated. In the event that GTM and the Schoolies.com websites is unable to relocate your group GTM and the Schoolies.com websites will refund all monies paid to the Schoolies.com websites including all deposits. GTM and the Schoolies.com websites reserves the right to use names, images, voices, statements or otherwise in any form of media whatsoever for the purposes of marketing, advertising, promotion, campaigns or any other form of publicity without payment or compensation to any GTM or the Schoolies.com websites customer. BookSchoolies & Schoolies.com contain links to sites operated by persons and companies outside of the Schoolies.com websites. We provide these links for your assistance and information. We are not responsible for the availability or content of these third party sites and we are not responsible for any goods and services available from these sites. The copyright and other intellectual property in the Schoolies.com websites is owned by GTM or by a third party who has given GTM and the Schoolies.com websites permission to use them. Any and all Trademarks shown on the Schoolies.com websites are the trademark of their respective owners. Nothing contained on the Schoolies.com websites shall be construed as the granting of any licence, right to use of any or all trademarks shown on the Schoolies Websites. From time to time Schoolies.com and relevant 3rd party partners may send you information and/or contact you directly about products and services that we think you may be interested in. If you do not wish to remain a subscriber to our mailing list or otherwise receive updates on our products or services, you are able to remove your details from the subscription list by emailing unsubscribe@grouptravelmanager.com. Confidential information will not be disclosed to individuals or organisations outside of Schoolies.com without prior consent, unless required to do so by law, or if the disclosure is permitted under the Privacy Act. From time to time Schoolies.com may run competitions on social media and through other channels such as TV and radio. The promoter of these competition is Schoolies.com. The only persons who may enter and be awarded prizes are Australian residents who are not employees of the promoter or its related bodies corporate, or immediate family of such employees. By entering the competition, participants agree to be bound by these terms and conditions. Unless stated otherwise participants may only enter the competition once, and only the first received entry will be valid if more than one entry is received from a participant. Entries are only valid if the participant has an accommodation booking with Schoolies.com. Unless otherwise stated. Winners will be selected by a panel of representatives of the promoter who, at their discretion, will select the best answer/s based upon originality, creativity, and adherence to the word limit. Chance does play part in determining the winners. Incomplete, Indecipherable or illegible entries will be deemed invalid. Entries that contain objectionable, harassing, defamatory, abusive, threatening, harmful, obscene, profane, sexually oriented, racially offensive content will be deemed invalid. All prizes must be taken as offered and not exchangeable, transferable, redeemable for cash or resale. In the event that a prize is unavailable, the promoter reserves the right to substitute a prize of equal or greater value. Prizes unclaimed after a period of one month from the date of notification of the winner may be forfeited and used by the promoter at the discretion of the promoter. Winner/s will be notified by email and telephone. From time to time Schoolies.com may run competitions with additional terms. These will be advised at time of entry. All Secret Schoolies Hotels are available to new bookings only. All Secret Schoolies Hotels bookings are subject to standard booking terms and conditions. Schoolies.com guarantees all Secret Schoolies Hotel bookings will be booked into an official Schoolies.com hotel. Schoolies.com will release the booking details including the name and address of All Secret Schoolies Hotels within 30 days of travel.If booking is made within 30 days of travel, then hotel details will be released within 7 days of final payment. All Secret Schoolies Hotel allocations are final and cannot be changed, refunded, exchanged or transferred. All Secret Schoolies Hotel rates quoted are on a "per person" basis and are inclusive of GST. All rates quoted do not include Bonds or optional extras such as events and merchandise. Optional Upgrades are subject to availability and will be confirmed no later than 30 days prior to travel. Schoolies.com guarantee that the optional extra of a high floor, will be on the 20th floor or higher. Super Sale price and discounts are subject to availability and can be withdrawn or varied without notice. Advertised prices already include discounts. All Super Sale prices are available to new bookings only. All Super Sale bookings are subject to standard booking terms and conditions. All Super Sale prices quoted are on a "per person" basis and are inclusive of GST. All prices quoted do not include Bonds or optional extras such as events and merchandise. The Super Sale is valid for bookings between 29 April – 31 May 2019, unless sold out prior. The EOFYS Sale is only valid for 2019 Schoolies bookings that are booked between 19 – 30 June 2019. The EOFYS code only applies to 2019 Flash Sale rooms and must be entered at time of booking to be valid.